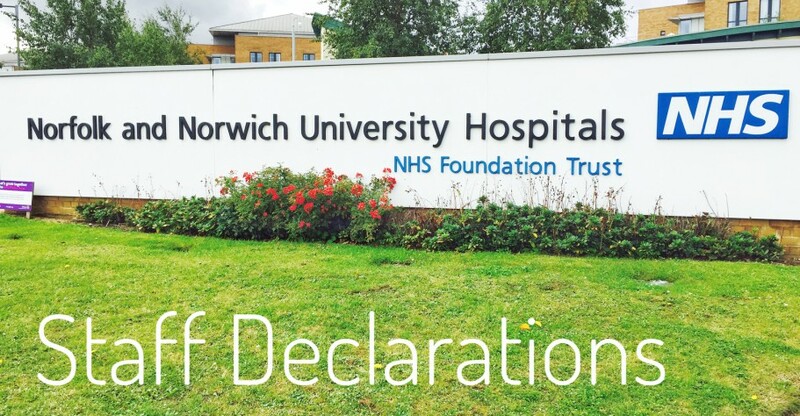 This is where Norfolk and Norwich University Hospitals NHS Foundation Trust Staff can make their declarations of interest in line with NHS England guidance. It is a web portal that provides easy access for staff to view and submit declarations of interest. Staff are required to declare their interests as they arise or make an annual nil declaration if they are a decision making staff member. Please click here to return to the Trust’s website.